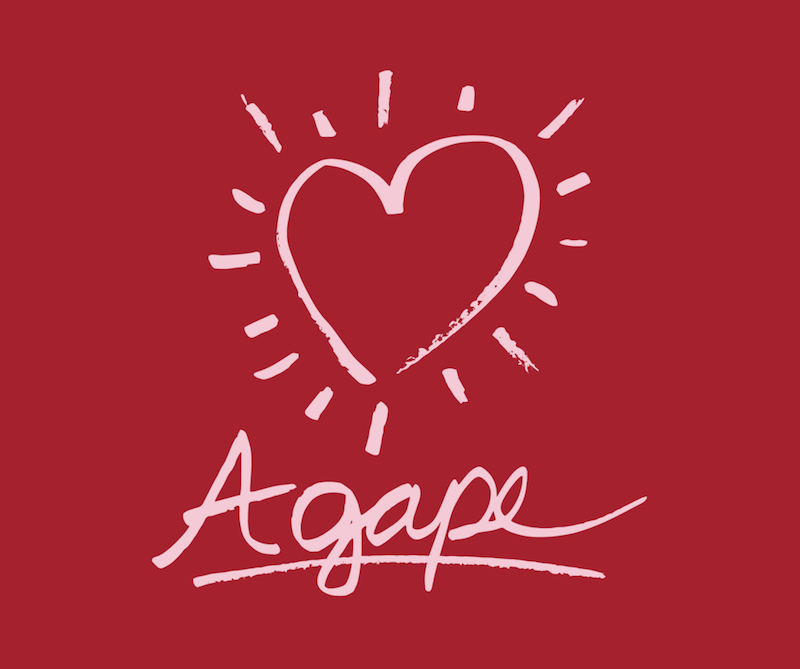 Agapaõ (ἀγαπάω) is one of four Greek verbs meaning “to love.” In secular Greek, especially before the time of Christ, it was a colorless word without any great depth of meaning, used frequently as a synonym of erõs (sexual love) and phileõ (the general term for love). If it had any nuance, it was the idea of love for the sake of its object. Perhaps because of its neutrality of meaning and perhaps because of this slight nuance of meaning, the biblical writers picked agapaõ to describe many forms of human love (e.g., husband and wife; Eph. 5:25, 28, 33) and, most importantly, God’s undeserved love for the unlovely. In other words, its meaning comes not from the Greek but from the biblical understanding of God’s love. A biblical definition of love begins with God, never with us (1  John 4:9–10). God is love itself; it’s his character that defines love. And because he is love (1 John 4:8, using the related noun agapê), he acts with love toward an undeserving world (John 3:16; 1  John 3:1, 16) to save them from their sins and reconcile them to himself (Rom. 5:8). The pure and perfect love of God is typified in the love relationship between God the Father and God the Son, which Jesus shows to his disciples (John 17:26). In response, we are to love God. “Dear friends, let us love one another, for love comes from God. Everyone who loves has been born of God and knows God. Whoever does not love does not know God, because God is love” (1 John 4:7–8). We are to love God above everything else, which is the greatest commandment (Mark 12:30, 33), and then to love one another (Matt. 19:19; 22:39; Mark 12:31; Rom. 13:8; 1 John 3:11, 23), especially our spiritual family (Gal. 6:10; 1 John 2:10). If you love God, you will also love others (Gal. 5:6; 1 Thess. 3:6; 1 John 4:20). Love for others is an outflow of God’s love for you (John 13:34; cf. 15:12; 1 John 4:11). It sums up the entire law (Rom. 13:7; Gal. 5:14) and is the “royal law” (James 2:8). Moreover, our love toward Christ is demonstrated by our obedience to his teaching (John 14:21, 15, 21, 23; 15:10; 1 John 2:5; 5:3; 2 John 6). In return, this obedience invokes the blessing of God’s love for us (John 14:21). No wonder love heads the list of the fruit of the Spirit (Gal. 5:22), and is the greatest of all that will last forever (1 Cor. 13:13). But disciples aren’t only to love God and fellow believers; they’re to love all people (1 Cor. 16:14; 1 Thess. 3:12; 2 Pet. 1:7), including enemies. “But I tell you, Love your enemies and pray for those who persecute you” (Matt. 5:44; cf. Luke 6:35). The very foundation of salvation is grounded in the realization that God’s unmerited love toward us is greater than any other power—including death itself (Rom. 8:37–39; 1 Cor. 15:55–57). Bill Mounce is the president of BiblicalTraining.org and the author of many Greek reference books, including Basics of Biblical Greek (Zondervan, 2009) and Mounce's Complete Expository Dictionary of Old and New Testament Words (Zondervan, 2006), from which the excerpt above is taken.